But those arguments, however persuasive on the surface, do not withstand empirical scrutiny. Instead, the most reliable academic analysis consistently shows that gun ownership is more often a catalyst than a deterrent to crime. 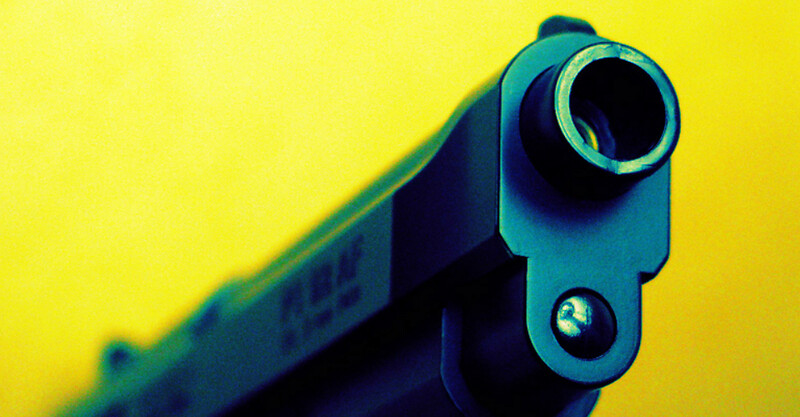 Last week, amid heightened scrutiny of gun violence in the wake of the Charleston church shootings, a group of researchers released the latest study on the correlation between firearm prevalence and crime rates. Their findings only add to the growing evidence against the “More Guns, Less Crime” hypothesis. The authors of “Firearm Ownership and Violent Crime in the U.S.” are researchers from Boston’s Children Hospital and the Harvard School of Public Health. They set out to gauge the effect of firearm-ownership rates on specific types of violent gun crimes. To do so, they used national gun-ownership surveys conducted by the Centers for Disease Control (CDC) and criminal data taken from the Uniform Crime Reports (UCR), a large annual database administered by the Federal Bureau of Investigation (FBI). The data covers all 50 states for the years 2001, 2002, and 2004, the only years for which the CDC firearm-ownership statistics are available. The study then sorted the states into quintiles according to their level of firearm ownership. After controlling for a variety of demographic, socioeconomic, and geographic factors, the authors analyzed each group of states and their rates of the following crimes: robbery committed with a firearm, nonfatal assault with a firearm, firearm homicide, and overall homicide. According to the “More Guns, Less Crime” hypothesis, states with higher levels of gun ownership would expect to see lower crime rates in those categories. By contrast, the study found that states with the lowest rates of firearm ownership (Connecticut, Hawaii, New Jersey, Massachusetts, Rhode Island, New York, California, Florida, Illinois, and Maryland) had significantly lower rates of firearm-related assault and robbery, firearm homicide, and overall homicide. States with the highest gun-ownership levels (Wyoming, Montana, South Dakota, Arkansas, Arizona, West Virginia, North Dakota, Idaho, Mississippi, and Alabama), meanwhile, had 6.8 times the rate of firearm assaults, 2.8 times the rate of firearm homicides, and twice the rate of overall homicides than states with the lowest gun-ownership levels. In the category of robbery with a firearm, the relationship between gun ownership rates was less clear: The study did find that robbery rates rose with gun-ownership rates, but in some states the increases were not statistically significant. For every other type of crime examined by the authors, however, the conclusion was the same: more guns, more crime. Some gun proponents may argue that “correlation doesn’t equal causation,” that perhaps gun ownership isn’t causing an increase in crime, but instead crime is causing an increase in gun ownership. In other words, people living in high-crime areas may be purchasing guns for protection. This possibility, known as “reverse causation,” was preempted by the authors of the new study, who showed that a state’s firearm-ownership rates in 2001 strongly predict violent crime rates in 2002 and 2004. The most coherent explanation is that higher rates of gun ownership lead to increases in crime, rather than the other way around. Undergirding the idea that expanding gun ownership deters and prevents crimes is the belief that the “bad guy with a gun” will usually be a random assailant, someone the would-be victim has never encountered before or does not know personally. But here again the hard numbers are at odds with perceptions. Nearly 70 percent of homicides involve guns, and the majority of all homicide victims know their killers; among female homicide victims, 93 percent are killed by a familiar person. Earlier research has shown that it’s nonstranger homicide that sees the most increase as gun ownership expands. When a team led by Michael Siegel at Boston University broke down homicides by the victim’s relationship to the killer for a 2014 study, they found that an increase in gun-ownership rates did not produce a statistically significant increase in murders by strangers. But when they looked at victims killed by someone they knew, they found that every 1 percent increase in gun ownership corresponded with a .9 percent increase in murders. Previous Post Debunking the Gun Free Zone Myth: "Mass Murder Magnets"